The Panel of Chefs of Ireland was established in 1958, It is organised on a national basis through a national executive committee with a regional branch network located within the provinces of Ireland. Our Mission is to promote the development of all aspects of professional cookery in Ireland. The panel of chefs of Ireland was established in 1958 and organised on a National basis through a Board of Directors and regional branch network. 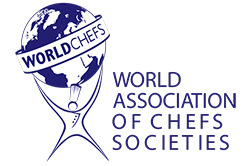 Representation and participation at Culinary Competitions at both National and International levels along with food demonstrations and organising culinary exhibitions including high profile charity and fund raising events. Thereby showcasing some of Ireland’s best talented chefs who are working and creating innovative culinary fare featuring the best of Irish food and drink. Promoting the Panel’s Image and presence within the industry in Ireland and abroad. Sed porta justo ante, vitae lacinia elit imperdiet congue. Suspendisse risus turpis, lacinia id sodales vel, pretium interdum purus.